Optimising Application Performance - Out Now! Our latest course, Optimising Application Performance has just been released. In this course, you'll learn how to tune the JVM in various ways to squeeze the best possible performance for your applications, as well as how to make good coding choices for performance. Spark Streaming - Out Now! The new module in our "Spark for Java Developers" series is now available! This covers Streaming with Spark and Apache Kafka. The new module in our "Spark for Java Developers" series is now available! This covers Machine Learning. There will be one more module in the series covering Streaming, due by the end of the year. The latest episode of VPP trainers Richard and Matt's podcast is now live. This time we discuss Apache Spark - the recent release of our SparkSQL module, and the forthcoming Spark ML (machine learning) module. Listen now at All Things Java. You can also subscribe / listen through iTunes, TuneIn and Stitcher - there are links to the podcasts on the All Things Java site. SparkSQL and DataFrames - out now! The second module of Kubernetes has now been released. We have just released our latest course, covering the Kotlin programming language. Kotlin is a JVM language created by JetBrains - the company behind the IntelliJ IDE. It offers a number of enhancements over Java, including that it's less verbose, has immutable variables, and almost always gets rid of the NullPointerException. Java developers will find Kotlin a pleasure to use, and compared to some other JVM languages, it's an easy transition from Java to Kotlin. In this course we learn the fundamentals of the Kotlin language, and how to use it to build Spring Boot applications with Kotlin. You can now watch the first of our 2 planned modules on Kubernetes - the tool for orchestrating workloads. This first module covers the fundamentals - workloads (Pods, RelicaSets, Deployments) and Services.JavaEE / Wildfly series. A second module will follow in the next few weeks covering covering microservices, networking, helm, mongodb, AWS deployment with Kops, and (the best bit) monitoring, logging and alerting using ELK (aka ElasticStack). The latest episode of VPP trainers Richard and Matt's podcast is now live. This time we round up some of the latest Java news, including the release of Java 10, the rebranding of JavaEE, and a survey of trends in Java usage. The latest episode of VPP trainers Richard and Matt's podcast is now live. Richard was locked away developing courses, so Matt took the opportunity to talk to special guest Jon Humble from Sky Betting and gaming, about the technology stack they use, and how they decide whether Java or Scala is the right language for each project. EC2 instances now have an updated version of Ansible installed by default. Richard Chesterwood has just uploaded a set of errata videos - if you've had any problems do take the time to review these short videos - and do report if you have any further problems with the course! Recent changes to the Tomcat which is installed by default on EC2 have meant that it is impossible to access the manager application without making some config changes. We've added some extra material at around 51min40s to Chapter 2 of the course. Thanks to all those who reported this problem - we're sorry if you got stuck here! We think the problems with our login module are now fixed - please do contact us if you have problems logging in, or if you don't have a secure https connection with the site. Spark - Problems with NotSerializableExceptions? If, in the next chapter on "Mapping" (or any future chapters) you experience a NotSerializableException, it is because your CPU architecture is sophisticated enough for Spark to treat each CPU as a node in a cluster! But this causes a crash with System.out.println (any functions run against an RDD have to be serializable in a multinode architecture). 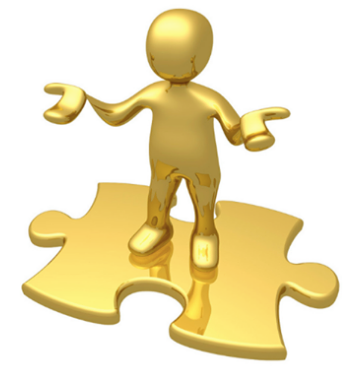 We have added an update video to the course which describes the problem and a simple solution. For more details check out the course page here. You can now watch the new module in the JavaEE / Wildfly series. This module covers how to build component driven web applications using JSF. Subtitles will be added in the next day or so. Subtitles are now available for Apache Spark - just click the "CC" button on the video player. If you've bought the course the titles can be downloaded as a ZIP file for use in a player such as VLC. Apache Spark Performance chapter now available . The final chapter of Spark is now available. A deeper exploration of the internals, and how to analyse performance. Subtitles will be added in the next day or so. Eagerly awaited! The new Spark for Java Developers course is now available! There is one further chapter to be released (Chapter 14) which will be uploaded to the site on 19 February. The latest episode of VPP trainers Richard and Matt's podcast, where they talk about the state of the Java / JVM job market is now live. With special Guest Matt Wood from Fruition IT we talk about the state of the market, what skills are most in demand, and even what you should wear to the job interview! We've just added subtitles to the latest Java Web Development module. Click the "CC" button on the player to view. If you've bought the course, you'll fine a zip file containing files usable in a player such as VLC. We've released module 2 of our Java Web Development course, 2nd edition. This second edition includes a refreshed version of the MVC and JSP material, but we've also added extra material on Ajax and Websockets. If you previously bought the first edition of the course, you will find the new edition has been added to your account automatically. We've now retired the first edition from the site. The latest episode of VPP trainers Richard and Matt's podcast, where they talk about anemic domain models, is now available at All Things Java. In this episode Richard attempts to break the world record for the uses of the word "exactly" within an hour. He won't be saying it again next time around. The latest episode of VPP trainers Richard and Matt's podcast, where they talk about design patterns, is now available at All Things Java. In this episode, Richard and Matt talk about their previous experience with UML and wonder if it still has a relevance for modern Agile projects. Despite Matt's valiant attempts, Richard fails to have a rant this week. But, he does manage to somehow squeeze in a reference to the "Comprehensive Super Mario Bros. Disassembly" which is quite an achievement on a UML talk (gist.github.com/1wErt3r/4048722). We've just uploaded the subtitles/captions for Java Web Development Second Edition. We're sorry for the delay! Just click the "CC" button on the player to view them. In this episode Matt and Rich run through what they think are the exciting features of Java 9, but they're not allowed to mention Jigsaw. What will Richard find to moan and rant about most this week? Java's new genius numbering system? Or people who want to keep their lists mutable? We've released module 1 of our Java Web Development course, 2nd edition. The original course is now over 7 years old, so we though it was time for an update. The new version is refreshed and updated, with some additional material in too. We'll be releasing the 2nd module in mid November, and will keep the original course live until module 2 is available. Just press the "CC" (Closed Captions) button on the video player. If you've bought the course for download, there is an additional Zip file containing the .srt files - these can be used in a player such as VLC. Docker Module 2 Now Available! Upgrade your Docker skills to production standard with the new Docker Module 2. You'll be using a Docker Swarm to deploy a multi container system to real production hardware! Get the full course outline here. Subtitles will be available in a few days. Docker 2 will be released this Thursday! The "Production Grade" Docker course will be released on Thursday 31 August - keep an eye out for the final release notification! In June we recorded an interview with Ian Massingham, Worldwide Lead, AWS Technical Evangelism at Amazon Web Services. In this podcast we muse about Reactive. What is it, and what courses should VirtualPairProgrammers do? We talk about Spring's upcoming WebFlux framework. Also news on the recent Docker release, and what's going to be in the new Web Development course. 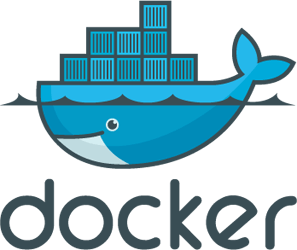 The first module in the Docker series introduces Docker, especially for Java/JVM developers. Learn all about the power of Docker, how to manage containers, images and how to work with DockerHub. Subtitles will be available in a day or so! A second module will follow in late August, covering Networking, Jenkins/Maven integration, Docker Swarm, Stacks and Compose. We'll be deploying a full microservice architecture. In this episode Richard and Matt discuss Kotlin and what it can offer to the full stack Java developer. Plus updates on the progress with course development. We've added two new servers to our content delivery network - United Kingdom (London) and India (Mumbai). So, if you have any latency problems and one of these locations is near to you, try them out by switching servers using the link at the top of the video page. Get rid of the JSP from your Spring or Spring Boot applications. Our new course takes you through how to use Thymeleaf, and why working in standard XHTML is much more productive than JSP. Matt and Richard discuss the thrilling subject of "Who Owns Java?". Is it Open Source? And why do Oracle think that Google owes them $8billion. Also, progress on upcoming courses and some musing about the future direction of VPP's support process. Having an "Unsupported major.minor version" with Tomcat? To get around this problem, you can either upgrade to Tomcat version 9 (which you can download from http://tomcat.apache.org/download-90.cgi) or you can compile your web application with Java 7 compliance. 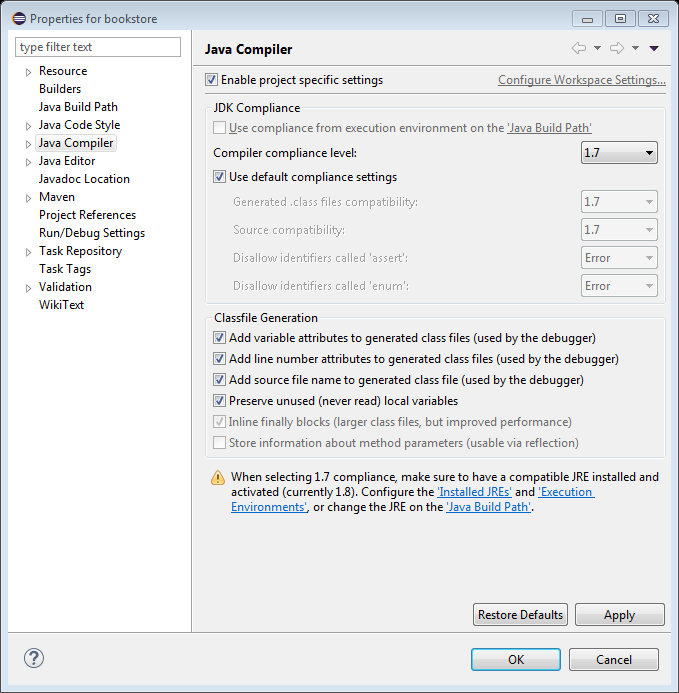 This second option is very easy to do - simply open your project properties (right click on the project folder and choose properties from the menu) and in the pop up window, select Java Compiler and change the "Compiler compliance level" from 1.8 to 1.7. Trainers Matt and Richard have been debating recording a podcast for some time. Inspired by The Stack Exchange podcasts (that sadly finished in 2014) and The Java Posse (whose last podcast was 2 years ago), we think it's time for someone to come along and fill the gap, and so we've decided to give the challenge a go! We discuss the current state of Java 9, and Jigsaw in particular, plus we touch on thymeleaf, JSF, and there's an update on what we're working on too. The latest on Java 9... will it be delayed, features removed, or released with problems? In case you’ve not been following the progress of the next release of Java SE, Java 9, we thought we should let you know what the current status is (or at least our current understanding of it!). This will be of relevance if you've done (or are interested in) our Spring Security series of training modules: it has long been known that SHA-1 is theoretically broken, but it has now been actually broken. 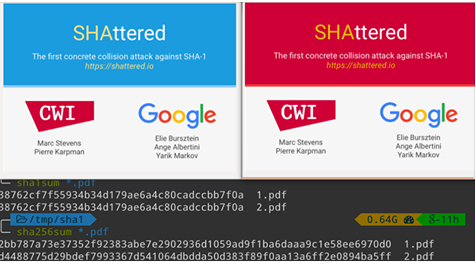 shattered.io shows how it is now possible to create two materially different files which generate the same SHA-1 hash. Of particular note is that GitHub uses SHA-1 to generate names for every object you store; there's a commentary on how this affects them here.